We have over forty years of experience in labeling solutions. We have worked with all our vendors for a number of years and have full confidence that we have the best network of vendors throughout the United States that can address any and all of our customers needs. Whether it is a repeat tag or label or a new design, we have access to design departments that have experience in providing our customers assistance in, industrial label design, point of sell label design and engineered solutions for specific tag and label applications. Flexographic, Digital, Offset, Pre-Printed Sequential Numbered Labels, Pre-Printed Variable Printing, Wired Tags, Sequentially Numbered Tags. 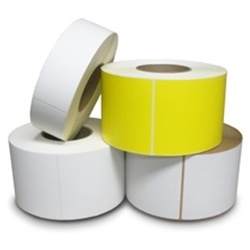 Thermal transfer labels and ribbons, etc. Conitex Sonoco partners with labeling solution manufacturers that sell only through distributors like ourselves. We have the most dependable, most effective and quality minded vendors in the industry. Our capabilities are limitless in providing our customers, stock labels, custom printed labels and tags, pre-printed variable printed labels and sequentially pre-printed labels. 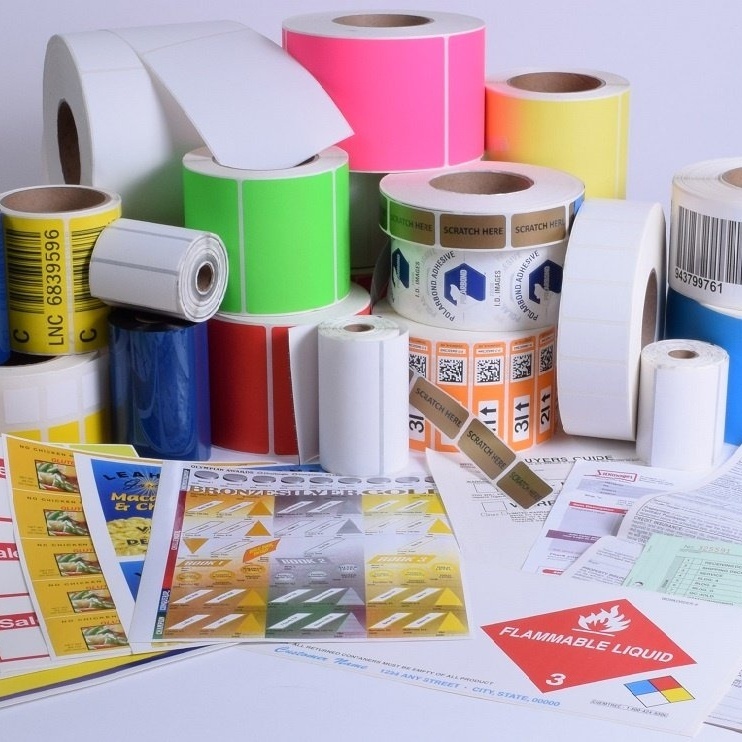 Used for shipping labels, inventory tracking and control, product identification and package identification, our color thermal transfer labels can also be used for warehousing and lot separation. 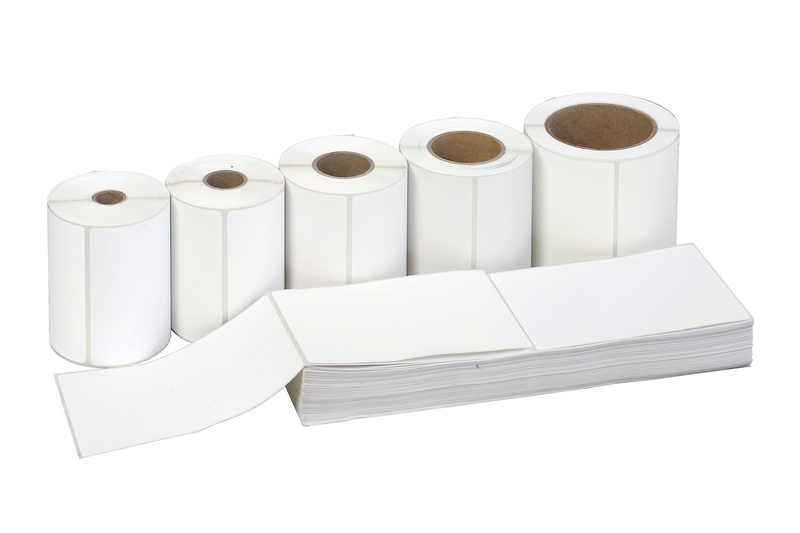 View our Thermal Transfer Labels catalog here. Typically used for short-term labeling, our direct thermal labels do not require a thermal ribbon. Conitex Sonoco offers a large selection of direct thermal labels in both standard and premium varieties. We offer various direct thermal facestocks from paper to synthetic and a variety of adhesive systems including permanent, removable and freezer grade. Standard labels: Uncoated, medium-sensitivity with excellent image quality, manufactured with a permanent acrylic adhesive. Not recommended for applications that require extreme environmental resistance or exposure to damp, oily, or greasy conditions. Premium labels: Top-coated, medium sensitivity with an all-temp/freezer grade, acrylic permanent adhesive with excellent image quality. Excellent results in most environmental conditions with improved UV light, heat, rub, and scratch resistance. View our available direct thermal labels here. Our premium white laser / inkjet 8 ½ x 11 labels are available in a variety of formats. Our stock inkjet labels are also available in packages of 100 sheets or in bulk packages. View our available Ink-Jet Labels here. 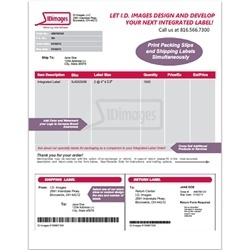 Typically used for on-demand printing applications ranging from shipping and address labels to patient identification labels and prescription labels. They are also ideal for CD and DVD labeling. Our premium white laser / inkjet 8 ½ x 11 labels are available in a variety of formats. 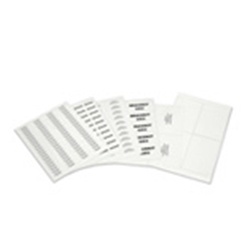 These stock inkjet labels are also available in packages of 100 sheets or in bulk packages. We also offer our stock laser labels in 8 ½ x 14 size sheets. We can make custom labels. Laser labels are perfect for packaging, mailing and address labels, and other applications. View our Laser Sheet Labels catalog here. 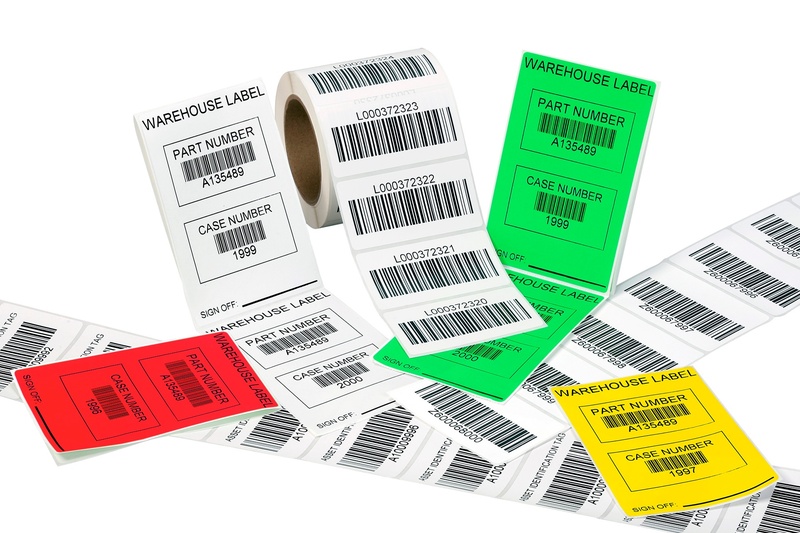 Integrated labels are ideal for multi-function applications including: pick/pack lists, warehousing/inventory, return merchandise, and return address labels because of their unique peel out labels. 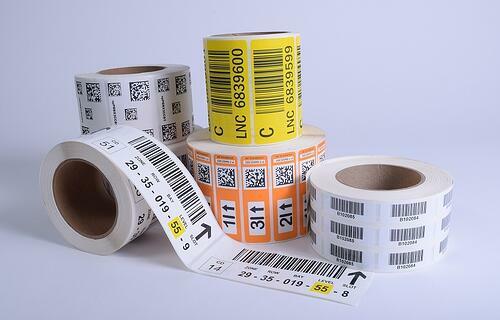 Conitex Sonoco offers a selection of competitively priced stock integrated labels. In addition to our stock materials and dimensions, we offer extensive custom integrated label capabilities to satisfy your unique applications. Our integrated forms are compatible with inkjet and laser printers, but if needed, we can offer thermal forms compatible with thermal printers. View our Integrated Sheets catalog here. We work with you from initial concept to the final order delivery to give you the best product for your application. 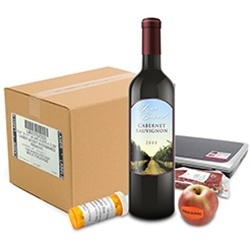 Some of our most common custom applications are product and package identification labeling, shipping, shelf marking, LPN labels for fulfilment and distribution centers, appliance and electronic labeling, and chemical labeling. No matter your application, we welcome you to contact us with your requirements and we will work to find the best solution for you. View our Made to Order Labels catalog here. We offer specialty products for practically any application. - Applications: consumer durable labeling, chemical drum labeling, chemical warnings, signage, healthcare/pharmaceutical labeling, retail tags, etc. - Direct thermal linerless labels reduce waste and have many cost saving benefits. - Thermal Transfer 2 mil White Polyester with Perm. Adh. For use on the CAB XC Series printer with ITW Thermal Film Resin B324,B325, Black and Red C5440 Ribbon. View our Specialty Products catalog here. 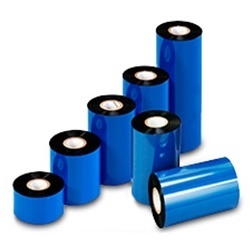 Designed specifically for printing on our thermal transfer labels, Conitex Sonoco offers a variety of wax thermal transfer, wax-resin thermal transfer, and resin-based thermal transfer ribbons. For optimal print quality, it is important to match the ribbon with the printer. Wax ribbons are sufficient for standard print requirements in many cases but for those projects requiring resistance towards chemicals, wax-resin thermal ribbons are highly suggested. Our ribbons offer superior smudge and scratch resistance and unbeatable edge definition with excellent barcode ribbon scannability. Our various kits perfectly match ribbons types and sizes with labels. We have included typical label dimensions to help you match your labels with the correct ribbon. To figure out how long of a thermal transfer ribbon you need to match with your labels, calculate the total length of your labels in feet and that will give you the length that you need (assume an extra 10% for scrap). We also offer sequential barcode printing services for your convenience, allowing you to only have to deal with the final printed product. View our Thermal Transfer Ribbons catalog here. For high-quality tags for industrial use, Conitex Sonoco delivers superior tagging options for your inventory control needs. Visit the specialty tags page to learn more. View more Specialty Tags information here. The easiest to use barcode land RFID software available on the market today. EASYLABEL software is the best selling most powerful label design software on the planet. There are over 117,000 copies running in almost every country in the world. We have other label creation Software available should our customers require it or have previously used other Software and require an upgrade. View our Label Creation Software catalog here. Reach out to one of our customer service representatives with your labeling needs, and we will give you a personalized quote.